Change Author Name without Changing Google Plus Name in Blogger - XpertShout Yayın bulunmaktadır. 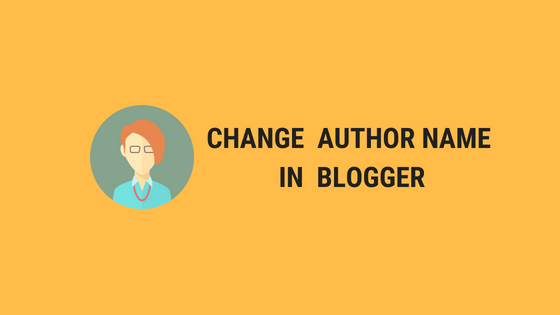 Today XpertShout will share how to change author name in blogger without changing google plus profile name. Many blogger wants to name google plus profile on their website name in blogger. But with default themes and many other themes, author name written in posts is linked with google plus profile. So they can't named google plus profile name on their website name. That's why they named google plus profiles on their own name instead of website name as it shows in posts. Google plus profile has one disadvantage, we cannot change our name more often. They limits the name changing as three per two years(as of this post publication time). But we can change the author name by a simple hack. Blogger uses <data:post.author/> to put your name on template. If we edit this tag and put our own, name can be changed. Open Themes in left vertical navigation. Replace all <data:post.author/> with your name or author name. Congrats! 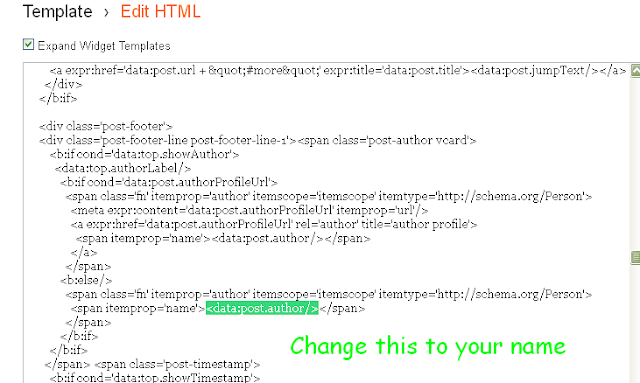 You have successfully change author name without changing Google Plus name.